BACKGROUND: Cristina is aged 33. She started her studies as a literature student in England, whereas she is Spanish. He soon realized that she was made for a wider world than the academic one and decided to try a new experience: she applied as a community manager in Barcelona (Spain). Thanks to her new job, she got to meet many interested people working in the field of communication wishing to start a business to find an alternative to the traditional labour maket. This is how she got the idea of a coworking space putting together the creativity and entrepreneurial spirit. Thus she decided to start her own start-up in Madrid, called El Complot. MENTORING EXPERIENCE: During her first experience as a community manager, Cristina did her first experience of mentoring as a mentee. This allowed her to mature her work project and facilitated the work transition she was planning. She benefited of wise advices from one of her older colleague who guided her through the administrative labyrinth and helped her not to fall in the common traps a young entrepreneur may fall. She took it as a example for her future career and nowadays she became a mentor herself in the framework of her work in El Complot. BACKGROUND: I studied Law at the University of Valencia and I pursued later on different masters on Business Management and Mortgage Law. In 1998, I created my own law firm, Aequus Abogados, in which I specialized in market and jurisdictional law. MENTORING EXPERIENCE: My mentoring experience has been diverse, although in the most recent times I have focused on mentoring new, want-to-be lawyers who are interested in Data Protection law. I consider mentoring is a positive activity since it allows you to help another person improve in topics you own experience. This experience has turned out to be really rich not only because of the opportunity to help a new colleague develop in a crucial topic, but also because of the knowledge that you can acquire as mentor in the topic you focus on, as well as in many others. I believe mentoring is a very positive experience that allows a person to see how many opportunities there are to help other people professionally develop thanks to a knowledge you already own. In conclusion, I believe from my personal experience that mentoring is an enriching experience in which both parts can learn and improve in many areas. BACKGROUND: At the beginning of my professional career, between 2003 and 2010, I was working in the financial sector as an investment adviser. In 2010 I co-founded Milton Factory LLC, a consultancy firm. At these years I developed online and offline projects, as a consultant, from global companies to startups. MENTORING EXPERIENCE: In 2011 I started my activity as a mentor, lecturer and trainer in many entrepreneurship and marketing related areas, taking advantage of my experience in entrepreneurship and in the financial fields. However, it was from the beginning of 2015, when I began my activity as Director and Founder of Capazia (an accelerator for entrepreneurial projects specialized in the vertical of functional diversity and people with special needs), when I focused most of my professional activity in startups mentoring. Nowadays I’m developing my own entrepreneurial projects and I collaborate, as an associate, with other companies as business development expert. TITLE: Agnieszka – educated nature defender! BACKGROUND: Agnieszka is young woman with masters and engineering degree in gardening, specialization: protection of plants and the environment and she completed postgraduate studies in finance & accountancy as well as management in health and safety. It shows how an ambitious person she is but she has never perceived herself as an office worker. She really likes working in the field, outdoors, but after she completed her studies, she had to work as a seller and she couldn‘t find a job related to her education and interests. Seven years ago, she took the decision to start a business in the field that she really liked. Agnieszka couldn‘t wait when she got a job as regular an employee and she took the risk. She really made an extreme effort to find consortia interested in environmental services. She had to improve her skills and knowledge in the area, and for that reason she graduated from specialist courses. She had to learn how to conduct a business, how to prepare financial and tax documents. Now, she receives mails, telephone calls from people asking to prepare documents, expertise, and analysis. She really developed the firm, and became an expert on regional level. Agnieszka cooperates either with firms or public institutions. The full name of her business is “Biuro Projektowe Eko-Drog Sp. z o.o.“. It is technical design office, operating as Ltd. It`s main activity areas are engineering activities and related technical consultancy. She does investor’s supervision in the field of environmental protection and green as well as natural supervision on linear and nonlinear investment, nature monitoring. MENTORING EXPERIENCE: Agnieszka had her first experience of mentoring as a mentee. The source of her motivation was the parents’ advice. They often repeated: “Listen to us we are aware of huge challenges standing in front of you, but we feel excited when you can see the development of national roads, where you can protect the environment, birds, reptiles, fishes. When together with you, we can observe deer passing above the road in safely, we feel that you are in the right place. But of course, conducting own business is really hard work and you need to be well organised and keep order, either in your documents or and above all in your mind!” Those were simple words but they work to this day! BACKGROUND: Dimitra is aged 28. She is an economist and she works as an economy and management tutor in a training center. She is an outgoing and young person, always available and happy to help. Also, she likes to consult people in economic subjects as she has a wide range of knowledge. She tries to transmit the innovative and entrepreneurial spirit, as she believes that everyone has to exploit their capabilities to create something new. She strongly believes that entrepreneurship is the answer to the Greek financial crisis, so when she spots the entrepreneurial spirit on her mentees, she goes for it! MENTORING EXPERIENCE: Her first experience of mentoring was with Giannis, a low skilled 40-year old person, who wanted to have his own business; a coffee shop/lab where people would be given the opportunity to experience a wide range of coffee types. He believed that it was difficult to follow his dream as he always had in mind the Greek financial crisis and relevant barriers. Dimitra encouraged him from early on believing in his potential. At first naturally this whole process was just an idea to explore but as time went by Giannis in alliance with Dimitra built and organized the steps to eventually succeed. Given her studies she was able to be a great ally in the initial steps of the business set up and the results are highly satisfying. Giannis, now runs “40 coffee and lab” with great success! BACKGROUND: I studied Journalism and my first professional experience was in a business consulting company as the communication manager. I got introduced to the business world in Valencia and it allowed me to have a strategic point of view that permitted me to design my own business idea. My lack of experience as business manager was compensated by my network of contacts. I was constantly in contact with many business developers that acted as unofficial “mentors”. This was my first contact with business mentoring. After creating my own business, 5 years ago already, I continued with my communication carrier at the same time. I have always enjoyed helping developing professionals by resolving queries and concerns relating to marketing and communication. MENTORING EXPERIENCE: With time, my interest in helping professionals has become one of my professional activities. This helps me not only to develop my skills as a mentor, but also to continually develop my business by networking, discovering new and innovative tools and techniques. BACKGROUND: I studied History at the university. However, I didn’t want to be a teacher so I had to find a way to better connect with the labour market. This is why, I decided, after my master in History, to do a Bachelor in Business Administration. I always have been interested in new trends and design. So, when I got the opportunity to open a small concept store in Paris, I took it! It has been the best decision I have ever made! MENTORING EXPERIENCE: I just finished my first mentoring experience with an unemployed senior, Geneviève. Her business idea was not defined yet so we got the chance to clarify her objectives. I helped her to manage her network online and to use tools such as LinkedIn. I really felt that I was useful for Geneviève even if she has the same age as my mum! It is very nice to feel useful and to see that our knowledge can benefit to older people. I would really like to do it again! BACKGROUND: I studied languages and European studies. I had quite a classical path since the end of my studies : internship and then a first job as a european project manager. I worked in my company for three year ; the job was interesting, the paycheck was ok and I had the best colleagues ever ! However, somehow, I knew that I had to change something. I took the opportunity of a long trip to make my mind: I will quit my job and start an activity as a free-lance. It has been 3 years now and i don’t regret it at all! MENTORING EXPERIENCE: I never mentored anyone before this experience. I must admit that I was quite nervous because I did not feel confident about my entrepreneurial skills. But it worked like a charm! We had a genuine and friendly relationship based on confidence and trust. Francis, « my » mentee, felt that he could ask all question that he needed and even if I had not all the answers, we were able to look for it together. BACKGROUND: Since I am a kid, I am in love with food. My friends call me « The Walking Belly »! I love trying new tastes. It also means that since my childhood, I love to cook. I do remember these first cooking experiences with my grandma. It was wonderful. I always wanted to be a chef. So, I studied to become one! I started to work in restaurants, my dream became true. Two years ago, I created a restaurant in Paris’ suburb where I hire people with low capabilities. This is wonderful and we have so much to learn from these persons. MENTORING EXPERIENCE: I never did it before, first time and quite a success I must say! I had a great time with the mentee. I think she learnt quite a lot and I enjoyed passing my knowledge. I felt like all the obstacles I had to overcome were finally useful! I could provide advices and guidance that helped her a lot. We are still in touch and I hope it will last! BACKGROUND: I studied plenty of stuffs: administration, sociology and political sciences. I am interested in everything; I guess I am the curious type. It was complicated to find a career that could bring me to focus on a topic and then on a really different one. I made an internship in a famous newspaper when I got an epiphany: I will be a journalist. But I didn’t want to be hired by a newspaper because I wanted to keep my intellectual independence. So I decided to work as an independent journalist. MENTORING EXPERIENCE: It was my first experience and I really enjoyed the human nature of this relationship. I felt a common benefit of our exchanges. BACKGROUND: I come from a family of 3rd generation entrepreneurs in the textile and sports trade sector. Although I grew up among counters, my research interest led me to study Sociology and later develop in the area of marketing and consumer behavior through market research. After a short time and after my first job as an employee, I decided to return to Valencia and set up with a partner a market research consultancy to serve companies, municipalities and associations related to trade. Little by little we have been diversifying and “stepping on land” and we are not only a market research consultancy that develops projects for all types of companies and institutions, but also 360º marketing specialized in the retail sector. MENTORING EXPERIENCE: I decided to bet on the project to introduce fresh air into the company and allow us to contribute a European vision, helping us to develop a benchmark of companies and products similar to ours in other European countries. It is necessary to leave your circle and comfort zone and be able to have a vision of what happens outside your country. That’s why I think the program can serve many types of companies that need to open up more. BACKGROUND: I studied administration and business management and my first professional experience was to help in the family business that was dedicated to the manufacture of chips and snacks, and which was directed by my parents. In it I learned a trade from below and instilled in me some strong values and the conviction that hard work, but well done, always yields its fruits, and in 90% of the cases, positive. This family business was sold to a much larger food group while the children were finishing their studies. After finishing my university studies and one year of studies in the United States, I did my university internships and I had several professional experiences and different businesses in which I was trained as a manager and team manager. And a few years later I founded along with my brother Sergio Perez FRITOPER, which has now become the third manufacturer in its sector nationwide. MENTORING EXPERIENCE: I was a mentor in the area of productivity in the first edition of “Operación Consolida”, and it turned out to be an enriching experience, both for my mentees as well as for me, as a mentor. BACKGROUND: While I was studying my degree, I also had a work in order to keep up because I was studying abroad. I found out about the sector of sport events’ organisation and I decided to enter this world and start timing races. At the beginning, there were only a few, small races, but little by little I learnt how to work in this sector. In 2007 I founded my company, Cronochip, and since then we have been growing and improving in this sector, so that up to now we have timed important races in Spain such as the Seville marathon. MENTORING EXPERIENCE: while I have been working in my company, I did not forget that the reason why I began in this sector is because someone gave me the opportunity to work for the first time in timing. For this reason, I have mentored other people interested in becoming entrepreneurs, and I have participated in programmes such as Erasmus for Young Entrepreneurs, mentoring future entrepreneurs. I believe mentoring is a great experience for both sides; as mentor you are able to provide knowledge to your mentees, but it turns out to be a quite enriching experience for you as well. TITLE: STEFANO MODESTINI, how to create your own organisation in a foreign country and mentor people on how to improve their working situation. BACKGROUND: I studied Legal Services for the Enterprise in my home country, Italy. After finishing my studies, I lived for a few years in Australia working in different areas before moving to Spain. In this country I learnt about European Projects and similar activities, and that is when I realised this was a job I wanted to carry on doing for many years. It began when I started working in a Town Government with projects and activities related to the EU. I also worked in a Consultancy Firm in relation to European Projects before deciding to fly solo and start my own organisation. MENTORING EXPERIENCE: as part of my current job, I have experience in providing guidance and mentoring to young people and adults in job opportunities, including self-employment and entrepreneurship. We provide assistance by mentoring them on the possibilities they have to improve their current situation, including facilitating placements and training abroad, and looking for the best way to obtain the most suiting job opportunity or self-employment creation. BACKGROUND: I studied Business Administration, Marketing and International Commerce. I also own a master’s Degree in Strategic Consultancy, which allows me to work as private consultant in Internationalisation and Innovation. During my working experience, I have had the opportunity to learn how to become entrepreneur by owning my own companies. My consultancy company, which I began in 2010, is specialised in internationalisation and innovation consultancy, but we also work as training providers and mentors in topics such as internationalisation and accessing to funding. Also, we have experience in working in European Projects, as partners but also helping our clients find the project that best adapts to their needs. MENTORING EXPERIENCE: I have extensive experience as mentor; I worked as professor in the INEDE Business School, and I am a Homologated Coach by the Valencian Government in Internationalisation and search of International Financing. Through these activities, I have worked with many start-ups and companies, mentoring them and helping them achieve their objectives. Also, I am a Coach on H2020, a European Programme. All my mentoring experience has allowed me to grow as professional, and to learn that you never have enough knowledge about anything. However, together with a partner, we decided to create a start-up devoted to the production of bike accessories. This experience was really interesting for me, since it had nothing to do with my previous work and studies, but I am finding it very fulfilling. MENTORING EXPERIENCE: while I was working as journalist, I had the opportunity to mentor different people who came to learn from us and our work; also I have been a mentee myself in the different places I have worked at, so I can see both sides of the story; I think this allows me to interact better with mentees, since I understand what it means being on their shoes. BACKGROUND: After high school I attended a two year public medical school where I acquired massage therapy qualifications. That time was very important as it helped me realise that this is the field I want to develop in. I then enrolled for Physiotherapy studies at the university and while my studies started work as a mobile physiotherapist for patients after surgery, as well as taught children at preschool general physical activities with elements of corrective gymnastics. After graduating from university I started working at a public hospital, where I work until now. I also work at a private health center. MENTORING EXPERIENCE: I work with different groups of patients: various age groups and with different physical disabilities. I believe that the best help can he given when you have the possibility to identify and adjust methods on the basis of one to one patient therapist contact. When planning therapies, essential is dialogue so that your patient understands the treatment they are undergoing. BACKGROUND: I am a passionate in my job of a physiotherapist. Partially due to the fact that my brother is also a physiotherapist, who I have been observing and who has been a mentor for me. I have completed MA studies, many courses and will not stop to develop since not only has this become in some way my hobby, but I find this area of medicine very interesting and prone to advancement. MENTORING EXPERIENCE: Patients with various physical problems come to me. I try to apply the best procedure, so that the treatment guarantees the patient’s comfort and satisfaction. Very important is proper diagnosis, which I target at the very beginning, regardless if the patient has been previously diagnosed by a doctor. Such an approach allows me to understand the patient’s needs and adjust treatment. My rich experience in the job will be valuable in mentoring others. BACKGROUND: I was enthused by my mother with the passion to photography. I have a lot of pictures from my childhood, taken by my “private photographer”. Mom took pictures of me everywhere (from the potty to “at the bush of blooming Azalea”). I often asked, “Mom! Why do you take so many pictures of me? … I heard: “Because this is your happiest time… And when you grow up, you won’t let me take pictures of you anymore. And that’s how it happened… I grew up in “posing for photos”, which seemed stupid to me when I was a child, but over time it became something completely different. Creating family albums is a joy for every mother, and after years of watching the photos, it gives a lot of joy. So why not? Time passes too fast not to document the happiest moments in our lives. MENTORING EXPERIENCE: I am inspired by other photographers. I visit web pages of e.g. my foreign colleagues “by profession”. I look through their portfolios, I read about their experience. Thanks to them I try to create something similar. I wouldn’t call it plagiarism, because artists have always been inspired by others; they have their masters. It is the same for me. I am passionate about neonatal and childhood sessions. I am constantly developing in this area, which affects correctness and creativity and strengthens the trust of parents, who know that during the session their little one is safe. I am also very happy to work with families and take wedding pictures. BACKGROUND: I have always been passionate about flying. It all started with model planes. It was a real fun to build them, almost from scratch, and then, unbelievable pleasure to see them fly, to have control over them, and what was the highest gratification, to win races. This has changed, however, with the appearance of drones. When I got into the subject and realised its business potential, I changed my planes into drones. I invested some money into the equipment and marketing, and very soon first clients started to appear. The orders were diverse, from filming properties and premises to documenting car racing. I can say that I managed to change my hobby into business, and that it is very satisfying experience. MENTORING EXPERIENCE: My mentoring experience is probably more linked to the other business I run, that is SK Sport – sports wholesaler. As this is the business I have been running for many years now, I have learned most of my professional skills connected with management, negotiations, marketing, analytics and customer relations. The warehouse is mainly operating online, so I had to learn a lot in terms of proper products presentation, consumer psychology, logistics, procurement, and many other aspects. During these years I have trained over 10 new employees, which, I believe, has given me some practise in mentoring. With my knowledge and professional experience, I can help new entrepreneurs in many business related subjects, especially, those concerning e-commerce and online marketing. BACKGROUND: I am fascinated as a person by the idea of creation and development. Furthermore, due to my multitasking nature, since 2004 I commenced my work experience alongside my education as I acquired my Bachelor’s Degree in Business Administration and a Master´s Degree in Financial and Business Strategy. My field of expertise belongs to the industrial branch as I have been employed in a textile industry, while for the past 8 years I work in a biodiesel production industry. At the same time I have participated in various work groups such as the team in charge of composing proposals for biofuel sustainability under the support of the Ministry of Energy and Development while I have also been a coordinator of co-funded programs of Research and Technology. Since 2013 I have been managing the Life Long Learning Center KAINOTOMIA, which specializes in employment and training programs for adults. MENTORING EXPERIENCE: Due to my involvement with LLLC KAINOTOMIA I have cooperated with a vast number of young adults within a consulting and training framework. It has provided me with the necessary experience to pin point possible weaknesses but also the possibilities of a person. The knowledge and management of various different situations until the present day has shaped me in such a degree to be able to boost goals and ideas on the table. BACKGROUND: I am the founder and past President of the Federation of Hellenic Associations of Young Entrepreneurs – OESYNE, with focus on helping Greek young entrepreneurs expand their businesses at European and International level and also helping other European or International entrepreneurs to do business in Greece. I have been teaching Financial, Managerial and Cost Accounting courses at the State University of New York at New Paltz since 2004 as a visiting faculty and I have been offering vocational seminars in Entrepreneurship and Management Accounting to young entrepreneurs in Greece and other European countries. At the present moment, I am President of the nonprofit organization Academy of Entrepreneurship. Main activity of the organization “Academy of Entrepreneurship” is mentoring to innovative entrepreneurs. Our goal is more and more people be benefited by the mentoring process, increasing the potential of their companies. MENTORING EXPERIENCE: I co-found a not–for–profit research and non-formal learning organization, the Academy of Entrepreneurship, whose main objective is to consult, coach and support young entrepreneurs through courses and webinars. I strongly believe that mentoring is a process that allows you to transmit your experience and provide practical advice and it is crucial and helpful mainly for young entrepreneurs. My next vision is to support sustainable and innovative business ideas, because mentoring never ends. BACKGROUND: I am an undergraduate student at University of Thessaly, Department of Economics. I fell in love with entrepreneurship in 2013. Since then I have been part of 2 startup projects, entered an incubator for 6 months and taken part at 3 Startup Weekend events as Participant, Sponsor and Organizer. I enjoy being part of a team and trying to solve problems. I am a person with self-awareness and leadership skills which I acquired while working with multiple teams. Also I am familiar with pitching, presentations, business plan and business model canvas. Additionally, I like to spend a lot of time with creative people. MENTORING EXPERIENCE: Three years before, I tried to build a strong local startup, relevant with the field of my studies. Opening an accountant office is quite time consuming process and I needed help as far as the current legislation status is concerned. In the beginning of my company, fortunately I had the suitable kind of support to start learning and practice entrepreneurship. Thanks to that, I have my own enterprise which is growing day to day spectacularly. I am always open to help other and provide guidelines and directions -as I did by my self – with sole aim to be active, productive and useful to the hard working nowadays society. TITLE: Genitseftsis Christos, Sharing your experience makes you better! BACKGROUND: I graduated from the Department of Chemistry of the University of Thessaloniki with postgraduate studies in Quantum Chemistry. I received postgraduate studies in Marketing and Communication at the Athens University of Economics with specialization in Green Marketing. In the period 1995-2009 I worked as a regional manager as well as Marketing Manager in the Karelia Tobacco Industry. My activities expanded to the establishment and operation of Mr.Print stores (refreshment of ink cartridges) throughout Greece since 2005 from the position of Business Development Manager (owner). Since 2001 I have been working in the field of middle and higher education as a trainer (owner) and professional training with Openmellon AE. Since 2008 I have been Piraeus Marketing and Communication Manager with main activity Green Marketing, advertising, education, development and quality assurance systems. I am president of ESYNE of Thessaly, Secretary of OSCENE and secretary of the ESA. MENTORING EXPERIENCE: When I started my own business, I faced various difficulties. It was necessary to have a mentor to overcome with ease the barriers I faced (with were continuous) and Mr. Giorgios, to my good fortune, had played a unique this role in my personal development, as he supported me in the initial steps of my start-up. It was an utterly great experience since we matched from the beginning in terms of communication and collaboration. This made me realize the importance of mentoring and actually pffering to others. I decided to be a mentor myself developing my skills so that others may experience what I did. It is essential to share my knowledge and experience that I have acquired and help practically “wanna be” entrepreneurs to achieve their goals. Through the process of mentoring, which is of course a two-way relationship built up, both the mentor and the mentee can be benefited empowering their skills and broadening their horizons. TITLE: Raffaele Vitulli, mentor and coach for creative and cultural enterprises. BACKGROUND: My passion for the cultural management in general as well as complex projects implementation has helped me to train my problem solving and coaching skills. I have had direct experience in the management of cultural and creative enterprises through a company that for 10 years has been involved in the organisation of events, museum management and archaeological sites of high cultural value. Today, together with a team of experts from my organisation (materahub.com) we are running innovative projects within transnational programs financed by the European Commission and we are managing over 40 pilot projects on entrepreneurial education for artists and creatives, aspiring entrepreneurs and new entrepreneurs. My mission is to mentor and coach for the creation of innovative and successful businesses, trusting that the sector of cultural and creative industries has a great need for new entrepreneurs who can generate innovative models and wealth for themselves and for others. 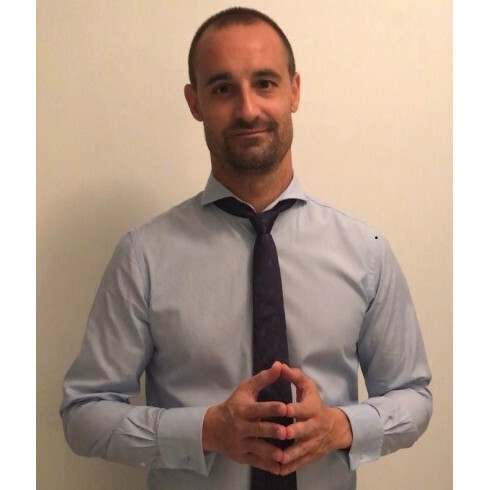 MENTORING EXPERIENCE: I am 38 years old and I have always been involved in mentoring and coaching activities since I was at university, when I helped students and teachers to find simple and effective solutions to complex problems. Being a mentor is not easy: you need to be able to understand people and their skills, motivate them and help them overcome all the blocks and beliefs preventing them from thinking as entrepreneurs. Being a mentor is a life choice as you take the responsibility to assist others while they are in the process of starting a new journey that will change their lives. It takes both a positive attitude and a great deal of listening skills as well as the ability to know how to give the right advice at the right time. I am glad I have been able to contribute to change many youngsters and adults’ lives, who run their own business today and operate nationally and internationally. I will continue to be a passionate mentor and to innovate personal methods and approaches to make them ever more effective. BACKGROUND: I studied Languages and Tourism Management in Verona, then I worked as a consultant and expert in training for companies and individuals mainly in the tourism field. My focus is on people and on their dreams and professional expectations. MENTORING EXPERIENCE: My mentoring experience is linked with my multi-potential attitude. I had the opportunity to work with companies and with individuals so I started to learn and apply different approaches always starting with a simple question “what is your dream and aim in the next 3 years?” By doing this so many times I learned that rarely people ask themselves this simple but hard to answer question and thi is the starting point of my mentoring. I try to let people focus on their desires and on the steps to realize them. TITLE: Andrea, how to design prototypes. BACKGROUND: Architect, from 2005 to 2009 I worked for prestigious architecture and design firms in Italy and abroad. From 2009 to 2013 I was global manager for Impact Hub in the Collaborative Design section. From 2009 in Italy and abroad projects spaces involving people in the creative process, generating communities to create positive changes. As a designer, since 2009 I work with companies to develop their ideas and projects, with open innovation processes, involving a vast personal network of professionals. Entrepreneur, since 2012 I have created Casa Netural, the first space for rural co-working and co-living in Italy. In 2015 I invented the Matera Design Weekend then now is Wonder Grottole. I research and write about issues of living, co-design, social innovation, community building, co-creation, urban regeneration and rural villages. MENTORING EXPERIENCE: Starting from my design and strategic background in 2013 I started my activity as a mentor and trainer in many entrepreneurship areas. I started an incubator of dreams where people of every age can take their professional dreams and find a method and tools to develop it in a business. Nowadays I run the Netural Incubator, where people in only 3 half days can understand the sustainability of their project and in which they have to design a prototype of the idea / project, mainly in cultural / social innovation fields. I am mentor also at school with students. I also run co-design session, I help in co-design processes not only to individuals and projects but also to groups of people. BACKGROUND: I am a young IT Engineer with a Master Degree in Computer Sciences and Telecommunications, specialized in public wifi networks. At the beginning of my professional career (2010) I was working in the ICT sector as an network designer, sales and marketing for 4 years. In 2013, I co-founded the Association Futuro Digitale as a President, Digital and Web manager on European Projects. Finally, in 2017 I founded AlterEdu, a start-up that works in the online training sector. My social and personal skills have had a strong acceleration after my Erasmus experience, as during this “special path of my life” I developed ability to adapt and listen, that today allows me to understand the needs of people with whom I interact, even outside the professional context. MENTORING EXPERIENCE: In September 2014, I started my activity as a mentor and trainer for many young entrepreneurs and students and in web, digital, digital marketing and communication. To be a good mentor I had to develop a great attitude to personal relationships and qualities like flexibility, availability, resourcefulness, curiosity and problem solving skills that allow me to work fruitfully in teams composed by people with different skills and background. At the base of everything, there must be the idea of sharing: sharing culture, traditions; this is the way to learn even when others learn from us! BACKGROUND: Corporate marketing and visual communication are two of the strongest fields in which I have worked in the last ten years, for a long time I was dedicated to logistics and the automotive world as a Group Director. Working on projects for FIFA, Ferrari, RFEF or Moto GP in the Sports Marketing area or for CajaMar, Banc Sabadell and Bayer in the Corporate Marketing area made me enjoy working and learning to apply it in different areas of my company. MENTORING EXPERIENCE: One of my main objectives when forming part of an association like AJEV is just that. Participate and contribute my knowledge to others. The possibility of becoming a mentor is a great opportunity for me. Currently I am developing different projects nationally and internationally which make me enjoy 100% of what I do. I would like to inspire young generation to think big and don´t give up. International projects in the United Kingdom, Brazil or the US have given me different perspectives to apply to different clients in the national territory. 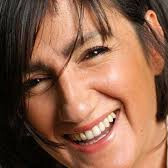 BACKGROUND: Luciana Delle Donne was a bank manager until 2004, then she decided to leave the sector and start Made in Carcere, a social enterprise supporting the work of women in jail giving them a second chance through the production of clothes and accessories. MENTORING EXPERIENCE: Luciana is currently involved in Erasmus for Young Entrepreneurs program of the European Commission supporting young entrepreneurs in starting their business in the social sector. With the women in jail she is also doing mentoring to support their skills development and entrepreneurial and entrepreneurial spirt development through promotion of their capacity in fashion. Last but not least, Luciana is working with students of university that are hosted by her company to understand how sustainable business can be developed in the social enterprise sector.